1. Its December 1st and that means Christmas is on its way - hurrah! My tree is up and fully decorated. I have ordered gifts, crossed names off lists, and have stocked up on wrapping paper. My cookbooks are out and ready to be perused, so that I can choose a few (or a lot) of recipes to bake this holiday season. Christmas music is playing throughout the house and in my car - I love it! I'm ready to watch Love Actually and National Lampoon's Christmas Vacation over and over again. And I'm making a list of everything I need to do this holiday season - yikes! 2. TV shows. 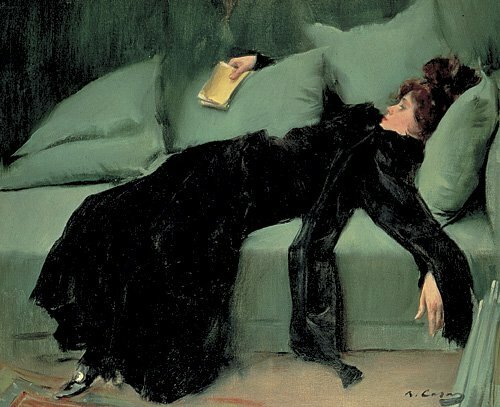 I am still watching the Housewives shows on Bravo. I'm addicted, so what can I do? The OC's reunion was rather lackluster. Although I do hope that Vicki and Tamara are friends next season, because this past season was seriously dull. NJ is beyond ridiculous and I'm starting to wonder why I watch it. Dallas was seriously the best, but way too short - they only show 10 episodes compared to the other shows which get over 20. And BH is coming back this month - woo hoo! I've stopped watching TWD - its just so boring lately. They really need to defeat Negan and move on. Stranger Things 2 was so much fun. I loved the Snow Ball at the end - it was one of the highlights of the season. Plus, the 80s music was awesome - who doesn't love Cyndi Lauper? And I finally discovered Ghosted, starring Adam Scott and Craig Robinson. OMG! What a fun and ridiculous show - I loved it! 3. Books. My reading has fallen to wayside. I can't seem to find a book that I actually want to get lost in. 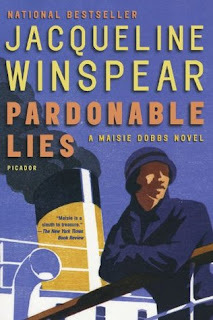 So, I've been re-reading the Maisie Dobbs series by Jacqueline Winspear. I love these books and tend to re-read them every year. I'm currently on the third book in the series, Pardonable Lies. I'm near the end, where Maisie is discovering the truth about one of her clients. She's been through the ringer with this story - realizing that slaying one's dragons isn't as easy as she had imagined. Its definitely one of my favorites in the series. 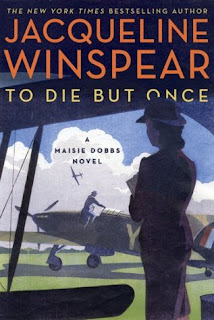 Oh, and I just found out that Winspear's next book (To Die But Once) in the series comes out next March - woo hoo!! 4. Planners. I have recently fallen down the planner rabbit hole on IG and YouTube - OMG! So many planners and so many ways to plan. I decided to try the Hobonichi Techo. I love the covers and the idea of using different planners for different things. I hope that I can stick with it - I usually start a new planner and then forget about it midway through. I tend to write lists and jot down appointments on notepads. Wish me luck! And let me know what type of planner you use - give me some new ideas. And now, I'm off to go through the latest issue of Vogue. I just received it in the post and can't wait to check it out. Happy reading!! I adore the first paragraph sooooo much. You are really into Christmas this year! I love it. I am pretty into it too decor wise. Not so much shopping wise. I am way behind. I tried to order something online and they were out. My neighborhood is all decked out though. Unlike how it was over Halloween. Those planners. I had to look them up. I love the fun yellow one with polka dots. TWD is still a snooze but they announced that Morgan is crossing over to FEAR! Yes!! Now I have to keep watching that crappy show. Yay for getting into the Christmas spirit! Honestly, I am usually very bah humbug this month. It stresses me out. But I'm trying to be positive and embrace the season as a joyful one. Ti, thanks ;) Yes, I'm really digging the holidays this year and am excited about the new year. I love that your neighborhood is decked out - so cool! I know what you mean about shopping online - you have to be quick or its gone. I only just discovered those planners and they have some of the best covers. That yellow one is a fun one. I actually bought the bear one, so that I can keep track of the books I read next year. Its so cute! OMG! TWD what are you doing to me? No more Morgan. Now he's going to be on Fear - egads! I have to watch Fear now. Ugh! Brandie, I can understand being bah humbug - this time of year is super stressful. I'm just trying to lean into the positive aspect of it all - fingers crossed it sticks :) I'm glad you are trying to be positive about it this year - its still going to be stressful, but at least you can focus on the merriment it brings in the end (or its supposed to bring, right?). Hope you have a great weekend, too!! Wow, your tree is up and fully decorated, you are doing good. I did write my first Christmas card as it is going to the Philippines. Also I have a poinsettia on a table and a small tree with bird ornaments new this year. But no big tree yet. Such a delightful post! I love that you reread Maisie. I keep thinking I would like to do that. Such a wonderful set of books. Terra, sounds like you are ready for the holiday season - you've started :) I still need to get a poinsettia or two. Lark, yes it can be :) Thanks!